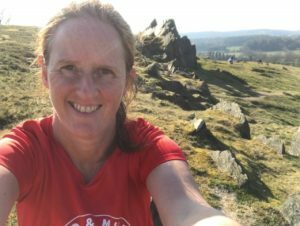 I'm Rachel Sheldrake, a passionate and experienced runner, both trail and off-road. Having taken up hill and mountain walking as a teenager and road running as an adult, over the past 15 years or so my love of running and the hills have merged. I've taken part in quite a few triathlons too, including Helvellyn and the iconic Norseman iron-distance race. Over the years I've been running seriously, I've been fortunate enough to run in some incredible places, both in this country and beyond, including the Lake District, where I lived for several years, the Peak District, Scotland, and on many of our national and local trails too. I love nothing more than heading out with my running shoes and a map to explore new routes, no matter where they are. Having worked as a teacher for many years, I've always loved helping people achieve in every aspect of their lives - and especially through the great outdoors. My desire to enable others to improve themselves through having new experiences, learning new skills and gaining confidence has led me to a career coaching and leading in the sport that I love. You can learn more about me, my background and what makes me tick in this 'Inspiring Individuals' post by the adventurer and photographer Gareth Mate. I'm a qualified and experienced running coach, one of the few that have trained specifically in trail, fell and mountain running (and I can and do coach road running too!) 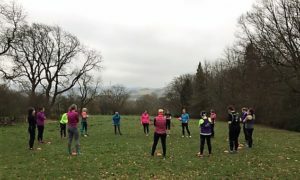 Whether coaching beginners or experienced runners, on or off-road, my focus is on working in partnership with my clients to build confidence and develop knowledge of how to run well. I focus on improving fundamental movement skills - such as agility, balance and co-ordination - as well as developing running-specific strength. The result? Stronger, faster runners, who are less prone to injury too! Being inclusive is very important to me, so whether you are an experienced runner or a total beginner, confident in your running ability or not, you'll be very welcome at Mud and miles coached sessions, runs and 1:1 sessions too. You may spot me coaching for We Run, as I am their coach for Newark, Lincoln and parts of Nottingham too. I am also regularly on the 'expert' panel for Trail Running Magazine, and contribute to articles for both this and Women's Running UK magazines. I hold full public liability and professional indemnity insurance through England Athletics and UK Coaching. Have a look at what I can do for your running. From one-to-one coaching to group coaching, guided trail runs and weekends away, there's something to suit everyone.